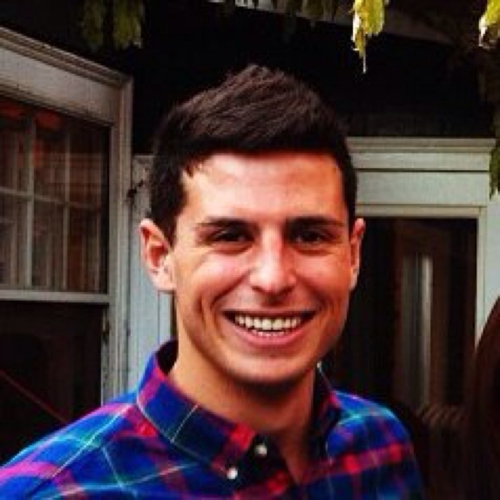 How do I use LinkedIn for Social Selling? A few weeks ago, we showed you how you can measure your social selling with LinkedIn’s Social Selling Index. We then used SSI to show how reps that do the four key activities of social selling – creating a professional brand, finding the right people, engaging them with insights, and building strong relationships – are crushing their number (51% more likely to exceed quota!). But what do each of those four key activities really mean? This week we dive in and show you exactly what you need to do to become a master social seller – and increase your SSI. If you're interested in receiving you company’s Social Selling Report, please request a copy here. 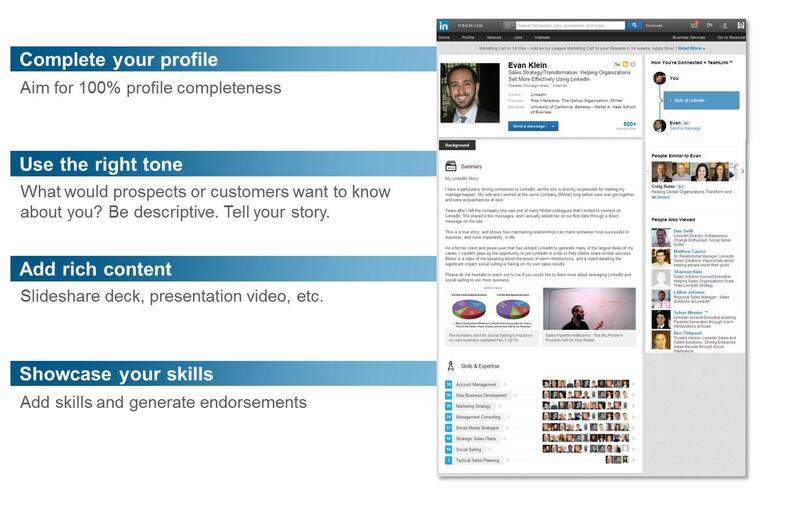 Establish a professional presence on LinkedIn with a complete profile. 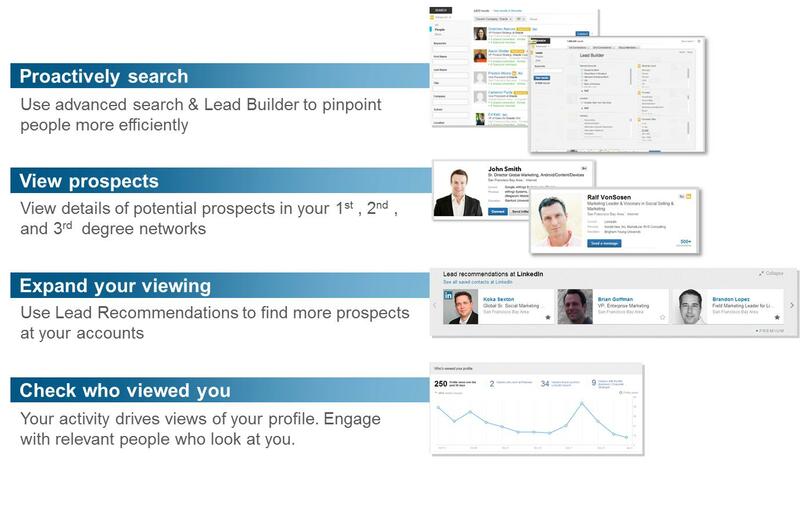 Prospect efficiently with powerful search and research capabilities. Discover and share valuable information to initiate or maintain a relationship. 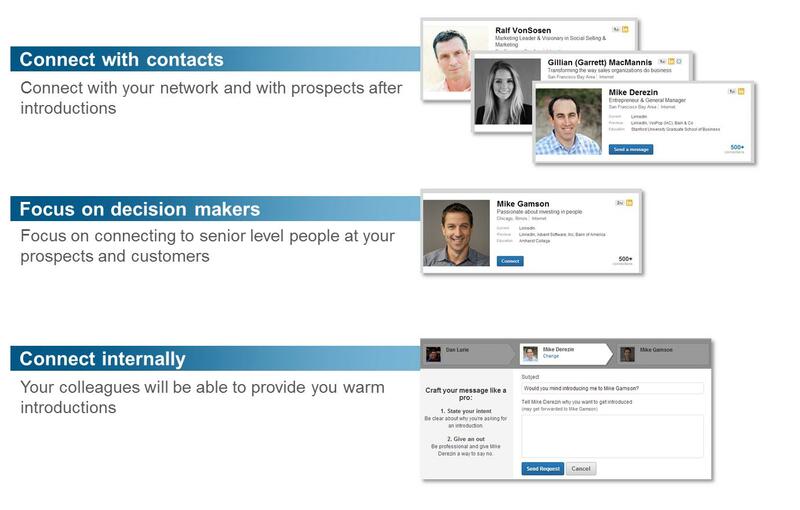 Expand your network to reach prospects and those who can introduce you to prospects. 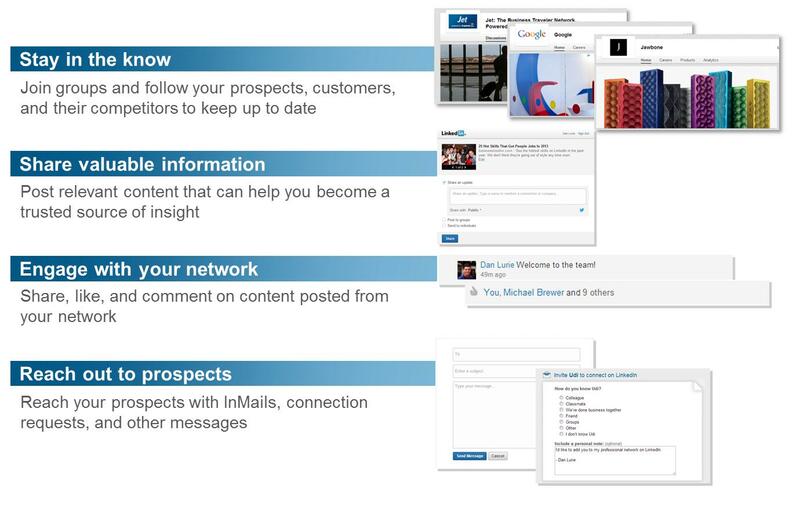 To learn more sales strategies and tips, visit our LinkedIn Sales Solutions Resource Center.